Should I be using Keras vs. TensorFlow for my project? Is TensorFlow or Keras better? Should I invest my time studying TensorFlow? Or Keras? The above are all examples of questions I hear echoed throughout my inbox, social media, and even in-person conversations with deep learning researchers, practitioners, and engineers. I even receive questions related to my book, Deep Learning for Computer Vision with Python where readers are asking why I’m covering “just” Keras — what about TensorFlow? Because it’s the wrong question to be asking. And then drop down into TensorFlow if you need (1) specific TensorFlow functionality or (2) need to implement a custom feature that Keras does not support but TensorFlow does. You can insert TensorFlow code directly into your Keras model or training pipeline! …then it’s time those wheels got some traction. Stop worrying and just get started. My suggestion would be to use Keras to start and then drop down into TensorFlow for any specific functionality you may need. In today’s post, I’ll show you how you can train both (1) a neural network using strict Keras and (2) a model using the Keras + TensorFlow integration (with custom features) built directly into the TensorFlow library. To learn more about Keras vs. Tensorflow, just keep reading! 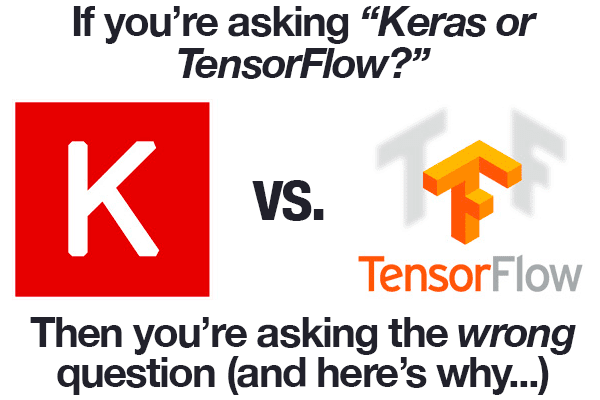 In the remainder of today’s tutorial, I’ll continue to discuss the Keras vs. TensorFlow argument and how it’s the wrong question to be asking. From there we’ll implement a Convolutional Neural Network (CNN) using both the standard keras module along with the tf.keras module baked right into TensorFlow. We’ll train these CNNs on an example dataset and then examine the results — as you’ll find out, Keras and TensorFlow live together in harmony. And perhaps most importantly, you’ll learn why the Keras vs. TensorFlow argument doesn’t make much sense anymore. Asking whether you should be using Keras or TensorFlow is the wrong question — and in fact, the question doesn’t even make sense anymore. Even though it’s been over a year since TensorFlow announced that Keras will be integrated into official TensorFlow releases, I’m still surprised by the number of deep learning practitioners who are unaware that they can access Keras via the tf.keras sub-module. And more to the point — that the Keras + TensorFlow integration is seamless, allowing you to drop raw TensorFlow code directly into your Keras model. You can use the simple, intuitive API provided by Keras to create your models. The Keras API itself is similar to scikit-learn’s, arguably the “gold standard” of machine learning APIs. The Keras API is modular, Pythonic, and super easy to use. And when you need a custom layer implementation, a more complex loss function, etc., you can drop down into TensorFlow and have the code integrate with your Keras model automatically. Do I go with the easy to use, but perhaps harder to customize Keras library? Or do I utilize the significantly harder TensorFlow API, write an order of magnitude more code, and not to mention, work with a less than easy to follow API? Luckily, we don’t have to choose anymore. If you find yourself in a situation asking “Should I use Keras vs. TensorFlow?”, take a step back — you’re asking the wrong question — you can have both. Figure 3: As you can see, by importing TensorFlow (as tf) and subsequently calling tf.keras, I’ve demonstrated in a Python shell that Keras is actually part of TensorFlow. Keras vs. TensorFlow - Which one is better and which one should I learn? Does this mean that you have to use tf.keras ? Is the standard Keras package now obsolete? No, of course not. Keras as a library will still operate independently and separately from TensorFlow so there is a possibility that the two will diverge in the future; however, given that Google officially supports both Keras and TensorFlow, that divergence seems extremely unlikely. If you’re comfortable writing code using pure Keras, go for it, and keep doing it. And when you need pure TensorFlow to implement a specific feature or functionality, it can be dropped right into your Keras model. There is no more Keras vs. TensorFlow argument — you get to have both and you get the best of both worlds. Figure 4: The CIFAR-10 dataset has 10 classes and is used for today’s demonstration (image credit). I’ll also be showing how to include custom TensorFlow code within your actual Keras model. The CIFAR-10 dataset itself consists of 10 separate classes with 50,000 training images and 10,000 testing images. 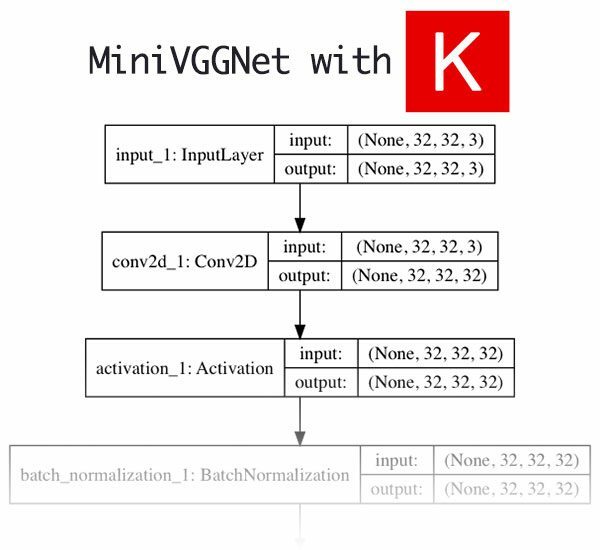 A sample is shown in Figure 4.
minivggnetkeras.py : This is our strict Keras implementation of MiniVGGNet , a deep learning model based on VGGNet . minivggnettf.py : This is our TensorFlow + Keras (i.e., tf.keras ) implementation of MiniVGGNet . train_network_keras.py : This is the first training script we’ll implement using strict Keras. train_network_tf.py : The TensorFlow + Keras version of the training script is nearly identical; we’ll walk through it, highlighting differences, as well. As you can see from the directory structure, we’re going to be demonstrating the implementation + training of MiniVGGNet for both Keras and TensorFlow (with the tf.keras module) today. Figure 5: The MiniVGGNet CNN network architecture implemented using Keras. The first step in training our network is to implement the network architecture itself in Keras. I’ll assume you are already familiar with the fundamentals of training a neural network with Keras — if you are not, please refer to this introductory post. We begin with a bunch of Keras imports required to build our model. We define the build method on Line 12, and define our inputShape and input . We’ll assume “channels last” ordering which is why depth is the last value in the inputShape tuple. Examining the code block, you’ll notice we are stacking a series of convolutional, ReLU activation, and batch normalization layers prior to applying a pooling layer to reduce the spatial dimensions of the volume. Dropout is also applied to reduce overfitting. For a brief review of the layer types and terminology, be sure to check out my previous Keras tutorial where they are explained. 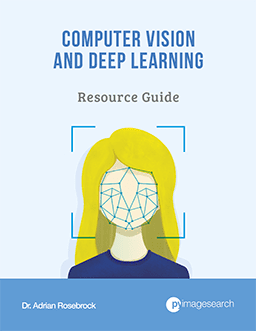 And for in-depth study, you should pick up a copy of my deep learning book, Deep Learning for Computer Vision with Python. Our FC and Softmax classifier are appended onto the network. We then define the neural network model and return it to the calling function. Now that we’ve implemented our CNN in Keras, let’s create the driver script that will be used to train it. We import our required packages on Lines 2-13. On Line 3 the backend for Matplotlib is set to "Agg" so that we can save our training plots as image files. On Line 6 we import the MiniVGGNetKeras class. We’re using the scikit-learn’s LabelBinarizer for “one-hot” encoding and its classification_report to print classification accuracy statistics (Lines 7 and 8). Our dataset is conveniently imported on Line 10. If you want to learn how to use custom datasets, I suggest you refer to this previous Keras tutorial or this post which shows how to a real-world of example with Keras. Our only command line argument (our output --plot path) is parsed on Lines 16-19. We load and extract our training and testing splits on Lines 24 and 25) as well as convert to floating point + scale the data on Lines 26 and 27. We encode our labels and initialize the actual labelNames on Lines 30-36. The training parameters and optimization method are set (Lines 40-46). Then we use our MiniVGGNetKeras.build method to initialize our model and compile it (Lines 47-50). And subsequently, we kick off the training procedure (Lines 54 and 55). Here we evaluate the network on our testing split of the data and generate a classification_report . Finally, we assemble and export our plot. Note: Usually, I would serialize and export our model here so that it can be put to use in an image or video processing script, but we aren’t going to do that today as that is outside the scope of the tutorial. To run our script, make sure you use the “Downloads” section of the blog post to download the source code. Each epoch is taking a little over 5 minutes to complete on my CPU. Figure 6: The accuracy/loss training curves are plotted with Matplotlib. This network was trained with Keras. As we can see from the terminal output, we are obtaining 75% accuracy on our testing set — certainly not state-of-the-art; however, it’s far better than random guessing (1/10). For a small network, our accuracy is actually quite good! And as our output plot demonstrates in Figure 6, there is no overfitting occurring. Figure 7: The MiniVGGNet CNN architecture built with tf.keras (a module which is built into TensorFlow) is identical to the model that we built with Keras directly. They are one and the same with the exception of the activation function which I have changed for demonstration purposes. 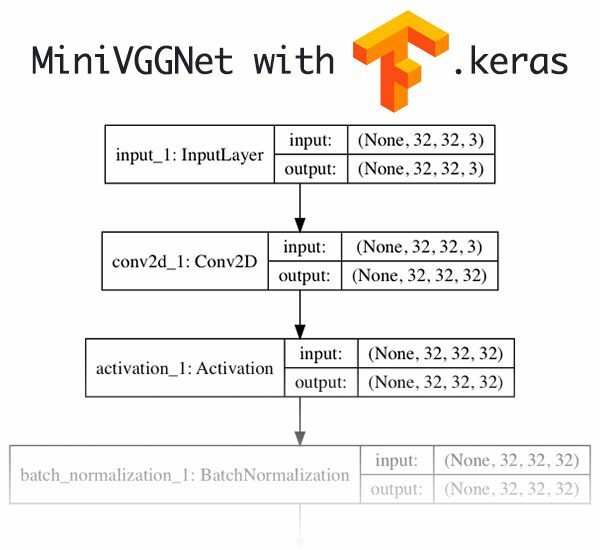 Include a TensorFlow activation function inside our Keras model that is not implemented in Keras itself. In this file, notice that the imports are replaced by a single line (Line 2). The tf.keras sub-module contains all of our Keras functionality which we can call directly. I’d like to call attention to the Lambda layers — they are used to insert a custom activation function, CRELU (Concatenated ReLUs), based on the paper Understanding and Improving Convolutional Neural Networks via Concatenated Rectified Linear Units by Shang et al. These lines are highlighted in yellow. CRELUs are not implemented in Keras but are in TensorFlow — by using TensorFlow and tf.keras we can add CRELUs into our Keras model with just a single line of code. Note: The CRELU has two outputs, one positiveReLU and one negative ReLU concatenated together. For positive x values the CRELU will return [x, 0] while for negative x values CRELU will return [0, x]. For more information, please refer to the Shang et al. publication. The next step is to implement our TensorFlow + Keras driver script to train MiniVGGNetTF . Our imports are handled on Lines 2-12. The only changes in comparison to our Keras training script include importing the MiniVGGNetTF class and importing tensorflow as tf rather than Keras. Our command line argument is parsed on Lines 15-18. Then we load our data on Line 23 much like before. The rest of the lines are the same — extracting training/testing splits and encoding our labels. The training process, taking place on Lines 39-54, is the same with the exception of those highlighted in yellow, where only minor changes are to be noted. From there we evaluate and plot our data (Lines 58-73). As you can see, we’ve implemented the exact same training process, only now we’re using tf.keras . To run this script, make sure you use “Downloads” section of the blog post to grab the code. 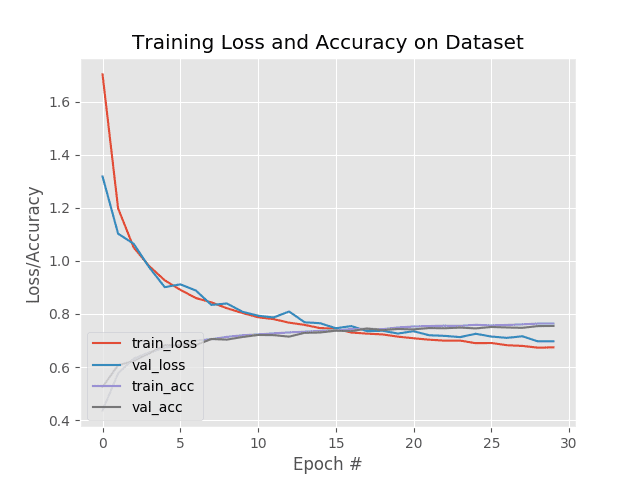 Figure 8: The deep learning training plot shows our accuracy and loss curves. The CNN was trained with the Keras module which is built into TensorFlow. By swapping in the CRELU for the RELU activation function we obtain 76% accuracy; however, that 1% increase may be due to the random initialization of the weights in the network — further experiments with cross-validation would be required to demonstrate that CRELU was indeed responsible for this increase of accuracy. However, the raw accuracy is not the important aspect of this section. Instead, focus on how we were able to swap in a TensorFlow activation function in-place of a standard Keras activation function inside of a Keras model! You could do the same with your own custom activation functions, loss/cost functions, or layer implementations as well. Should I be using Keras vs. TensorFlow for my project? Is TensorFlow or Keras better? Should I invest my time studying TensorFlow? Or Keras? Ultimately, we found that trying to decide between Keras and TensorFlow is starting to become more and more irrelevant. The Keras library has been integrated directly into TensorFlow via the tf.keras module. Essentially, you can code your model and training procedures using the easy to use Keras API and then custom implementations into the model or training process using pure TensorFlow! If you’re spinning your wheels trying to just get started with deep learning, trying to decide between Keras or TensorFlow for your next project, or simply wondering if Keras or TensorFlow is “better”…then it’s time you seek some traction. Type either import keras or import tensorflow as tf (so you have access to tf.keras ) into your Python project and get to work. TensorFlow can be directly integrated into your model or training process so there’s no need to compare features, functionality, or ease of use — all of TensorFlow and Keras are available for you to use in your projects. 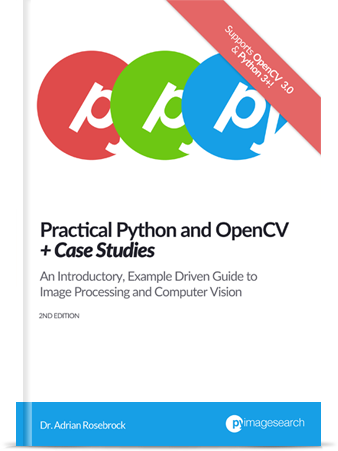 If you are interested in getting started with computer vision and deep learning, I would suggest you take a look at my book, Deep Learning for Computer Vision with Python. 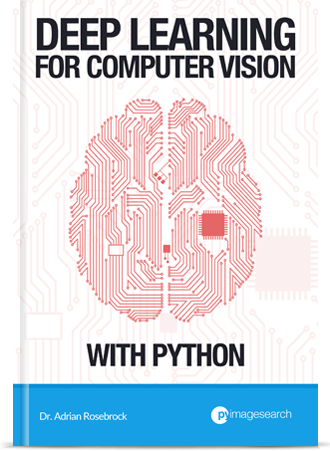 Inside the book, I utilize Keras and TensorFlow to teach you deep learning applied to computer vision applications. And if you would like to download the source code today’s tutorial (and be notified when future blog posts are published here on PyImageSearch), just enter your email address in the form below! 28 Responses to Keras vs. TensorFlow – Which one is better and which one should I learn? i) Out of the two, is it correct to think of one as the computational engine (where stuff actually processes) and the other as a sort of toolkit (which calls the stuff to get processed) ? If so, which one is which ? My guess is that TF is the toolkit and Keras is the computational backend ? ii) I also read in your earlier blog posts that there used to be TF integration with Kaffe, but this has been abandoned in favor of Keras. Can you share your insights regarding why this is so ? Is Kaffe no longer available, or is it no longer mentioned because Keras has more capabilities ? 1. Yes, Keras itself relies on a “backend” such as TensorFlow, Theano, CNTK, etc. to perform the actual “computational heavy lifting”. 2. Caffe still exists but additional functionality has been forked to Caffe2. TensorFlow was never part of Caffe though. We still use Caffe, especially researchers; however, practitioners, especially Python practitioners prefer a programming-friendly library such as TensorFlow, Keras, PyTorch, or mxnet. Amazing blog as always, thank you so much. Can you also put some light on how to effectively use tensorboard with keras or tf.keras for better visualization? Also, is keras/tf.keras a good platform to use pre-trained models weights? I find it very difficult to use existing weights. It took me days, just to get started with inception-v3 pre-trained models and I realized that these checkpoints are very specific to the code from which they were created. For this, I have tried Tflearn, TensorLayer but found keras to be best of all. It is very, very easy to use Keras with pre-trained networks, in particular the ones that are part of keras.applications. Inside you’ll actually find Inception V3 which has been pre-trained on ImageNet. A good starting point for you would be this tutorial. It’s also very easy to use Keras and TensorBoard together. There is actually a TensorBoard callback that you can pass into your call to .fit. I have been doing the same thing as you stated but keras.applications has limited models to offer. 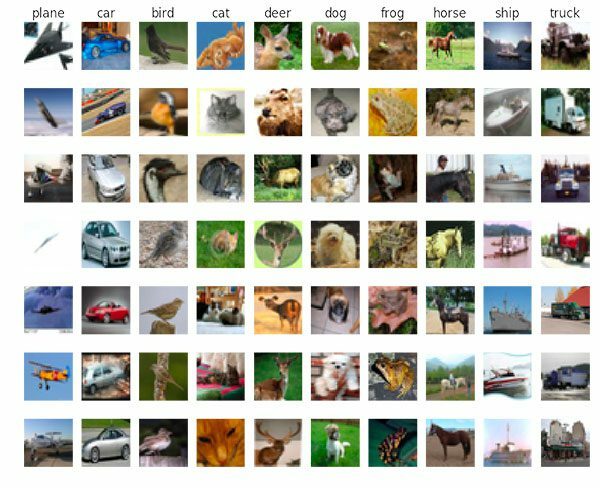 I wish I could use some from tensorflow model zoo (https://github.com/tensorflow/models/blob/master/research/object_detection/g3doc/detection_model_zoo.md) specially the RCNN. You could always load the TensorFlow network and then classify input images with the model without using any Keras code. Or is your goal to actually train the RCNN with Keras rather than TensorFlow? Thanks for your article Mr. Thanks Wayan, I’m glad you found it helpful! My question is about the difference between a Keras Tensor and Tensorflow Tensor. I don’t have enough programming experience with using Keras. With the above integration between keras and tensorflow, can we very easily use tf.get_variable(), or tf.constant() and very easily pass it to the tf.keras layers if need be? also, in your experience how often do you need to use tensorflow ops or variables when writing your custom layers or loss functions with tf.keras? 1. 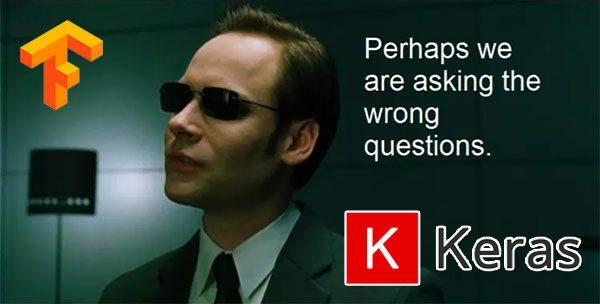 Francois Chollet, the creator of Keras, has a great example that answers your question on the official Keras.io blog. Be sure to give it a read. 2. It honestly depends on what exactly I’m implementing. Thanks a lot, Adrian. I will definitely give it a read. Lovely Post. I’m talking about smaller objects. What are things like RPN and Roi obj? Hi Mohamed — I actually show how you can train and use Faster R-CNNs, which are excellent detecting small objects in images/video, inside my book, Deep Learning for Computer Vision with Python. Thank you. A great blog, all the time. Hey Mark, I don’t do much work with text classification. My main area of expertise is images. You should talk with my friend Jason over at Machine Learning Mastery. Thank you for being a PyImageSearch follower, Kelemu! I’m so happy you are getting value out of the posts 🙂 Enjoy them! Great tutorial as usual! And I really appreciate that you used raw python codes instead of in IDE or Jupyter Notebook, so that I can just type in the codes in my terminal and run them easily. 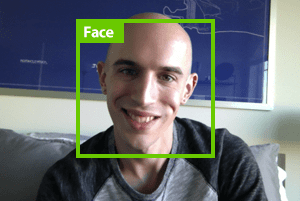 I do have another question though: After I trained these models, how do I used it to recognize my own photos, that are taken, say from my webcam or smartphone? I really want to learn how to ‘send a new image’ into this model. Thanks! Do not use your Raspberry Pi to train a model. Your Pi doesn’t have enough RAM. 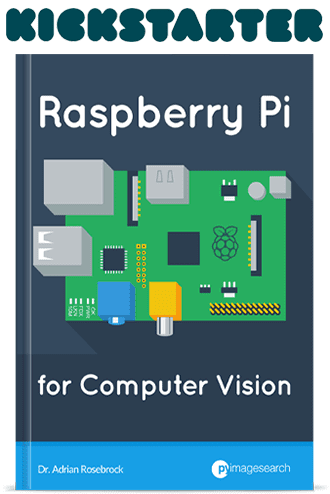 Train the model on your laptop or desktop and then deploy/run the model on your Pi.